Very poor support for finding things once past the entrance, why was there no points within the exhibition to find an adult that knew the layout? 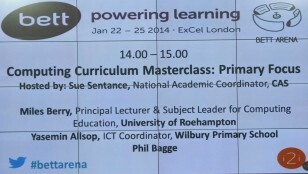 Other than that I had a lovely time and it was great to not only get the chance to meet many new twitter friends, find some interesting new software and technology resources for teaching, but also attend some rather interesting lectures. I also had the opportunity on the Thursday to appear on the NAACE stand as part of their ‘Ask an Expert’ slot, very interesting indeed. 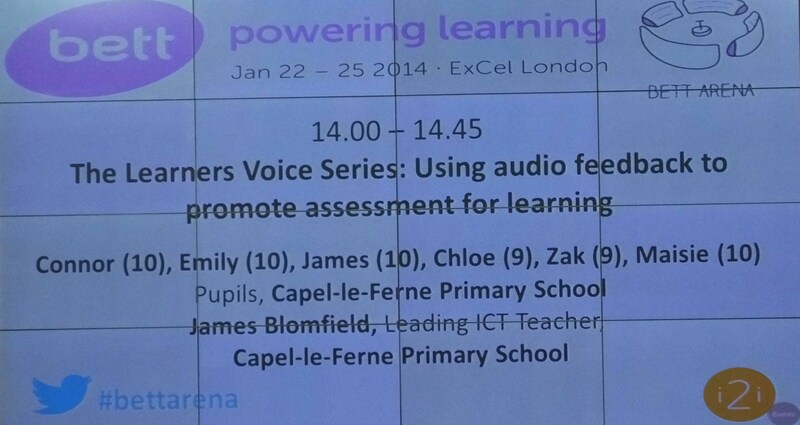 As part of my MA I am researching how technology can support assessment in primary science and I have a particular interest in recording children’s talk, so when I saw this event was on I made sure I was there. The teacher James Blomfield and his children were there to talk about a recording app that they use in school. 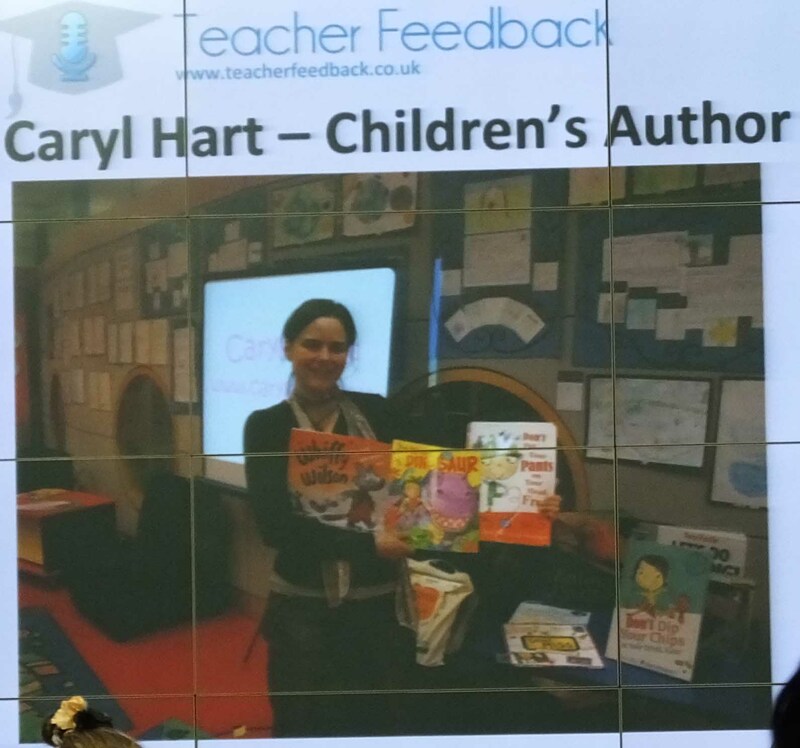 Parents and other participants in learning such as book authors can also be involved and children’s author Caryl Hart appeared during the session via a Skype video call to explain how much she had enjoyed working with the children via this application. 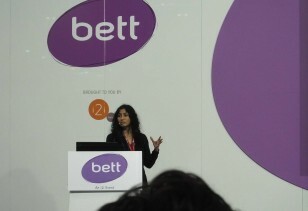 A thoroughly interesting piece of technology which I think will enhance learning in class, worth taking a look at. Some very interesting comments from Miles and I thoroughly enjoyed Phil’s jam sandwich making robot, what an excellent idea to not just hook the children, but the teachers too. However, my main reason to be at this presentation was to meet with Yasemin and to see the work she does with the children at her school. To my great disappointment I had missed the coding night they held last year. Yasemin gave a lovely presentation showing how programming engaged not just the children but also the teacher’s in her school. 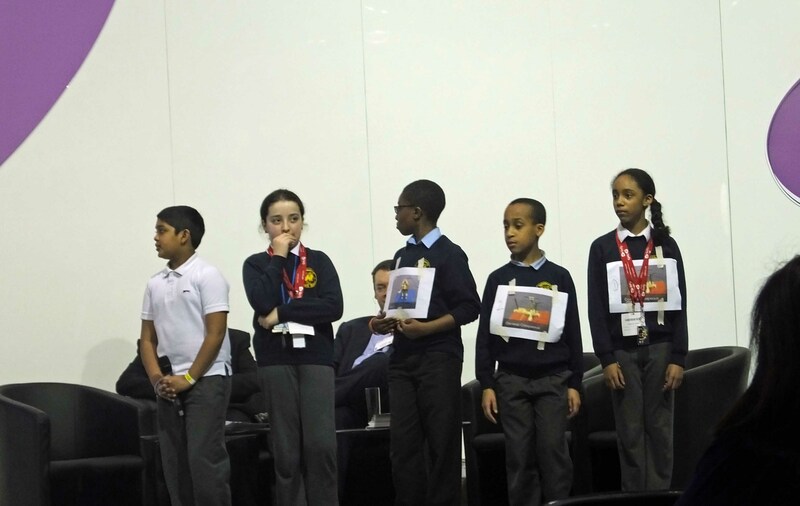 The children, despite some nerves clearly enjoyed their day. I came across some other interesting resources during BETT both at the show and away, one piece of software I hope to trial with a group of children in Shropshire later this week. I will update you on my how this goes. 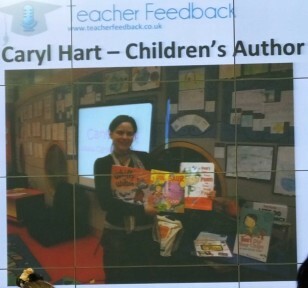 I also attended the largest Teach Meet which I enjoyed very much, I am trying to organise the various ideas and resources but time seems to run away! I think I will add those ideas on a separate section. We are producing our newsletter soon which will have more details about teaching ideas and resources, do register at the bottom of the page to receive this.